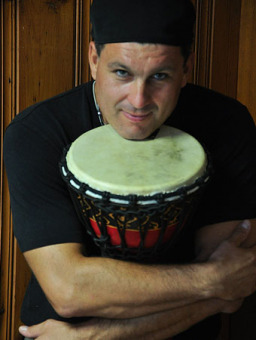 Dan Egger-Belandria represents a new generation of Latin musicians. Born in the U.S., his family heritage and childhood are tied to Venezuela where his spark for tropical music and percussion began. 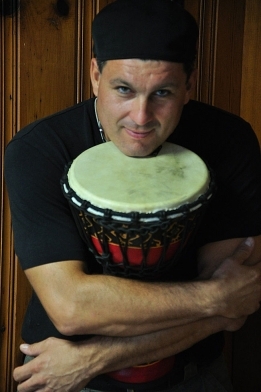 He is a skilled conga, bongo, timbale and drum set player - the result of engaging drumming masters such as Adel Gonzalez (Chucho Valdes, Afro Cuban All Stars), Miguel "Angá" Diaz and Enrique Plá (Irakere), Amadito Valdés and Carlos Gonzalez (Buena Vista Social Club), Modesto Cepeda (director/Escuela de Bomba y Plena de Puerto Rico) while also studying jazz at the University of Missouri. 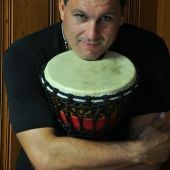 Dan has performed throughout the U.S. and abroad in a variety of musical genres, but his primary musical passion is rooted in Salsa and Latin Jazz. 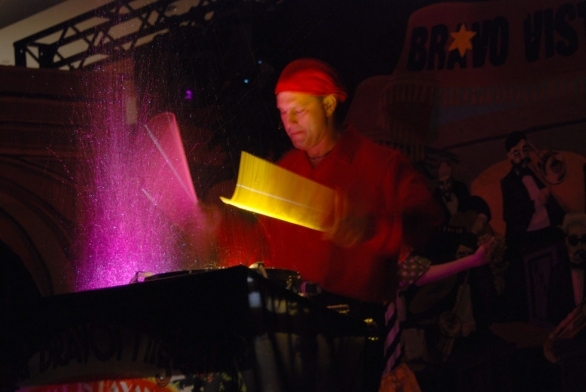 He is the bandleader for Señor Gato and the creator of the unique AquaDrums presentation that combines light, percussion and water to create an explosive audio-visual show. 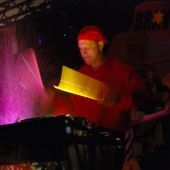 Over the last two decades, Dan has dedicated himself to the art of Afro-Cuban and Caribbean drumming, yet his musical journey also includes accompanying DJs in musical styles ranging from salsa, rock, hip hop and Reggaeton. As an arts educator and interactive facilitator, Dan has promoted multiculturalism and diversity awareness through New World Synergy to approximately 50,000 students and professionals over the course of his career. His flagship school assembly youth program, World Rhythm Synergy, unfolds the story of West African slavery and its impact on the Americas over 500 years using djembes, congas, bongos, cajon, claves and other percussion instruments that bridge the connections cultural and musical throughout this period of Western history. Dan began his musical career while living in the United States but he has since relocated to Medellín, Colombia in early 2012 where he is reestablishing his Latin Jazz ensemble Señor Gato while studying tradition Colombian musical styles.